I’m aware of the irony of my even writing this piece, but really, why are so many people fixated on how Muslim women dress? 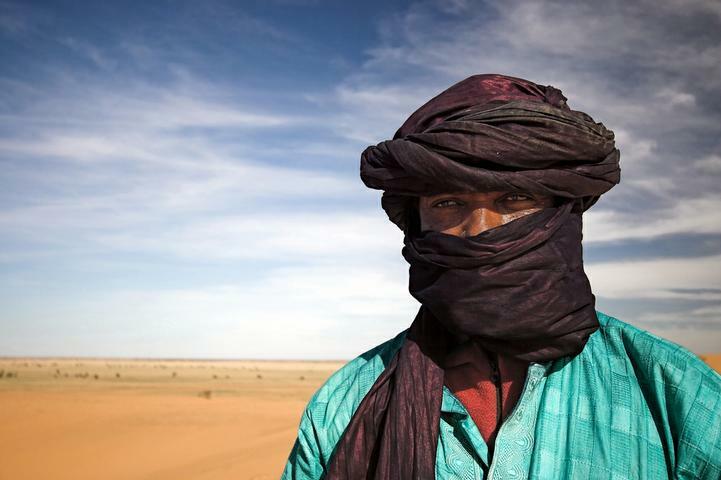 Very seldom, if ever, do we hear about the matriarchal, matrilineal Tuareg culture of Algeria’s Sahara and their traditional practice of adult men veiling themselves from women. Why the obsession with the dress of Muslim women? There are a number of different ways in which some Muslim women cover their heads, faces, and/or bodies, but the point of this post is not details of those differences. (Scroll to the end of this BBC article for an easy-to-follow visual guide explaining the differences of the hijab, burqa, niqab, abaya, chador, al-amira, shayla, and khimar). People in both Muslim and non-Muslim majority countries discuss this frequently and I wanted to know why that is. After a brief study of the history of covering one’s body, across both place and time, I found a few interesting examples attempting to explain the reasoning behind such a focus. Arab writers refused to accept this [colonialist] estimate of their society, and in the course of this heated debate the veil turned into a symbol of resistance to colonialism. And so it has remained. Many Muslims consider the veil de rigueur for all women, and a sign of true Islam. By using feminist arguments for which most [British] had little or no sympathy, as part of their propaganda, the colonialists tainted the cause of feminism in the Muslim world, and helped to distort the faith by introducing an imbalance that had not existed before. In Jordan, the issue of headscarves was revisited in the late 20th century, before it surfaced in Europe, when many Jordanian women began obtaining higher education degrees. A particularly focused question emerged: how were many women accustomed to the patterns of informal, non-headscarf dress in the privacy of their homes going to transition to dressing in the more public, academic arena? While this may explain why contemporary Jordanian society has recently placed an increased focus on women’s dress, it doesn’t explain why it was a an issue at an earlier time. For America, a nation-state whose identity continuously changes with the culture and customs of immigrants, the obsession (of both Muslim and non-Muslim men and women) with Muslim women wearing headscarves is particularly unique. Despite the sheer diversity of the U.S. and the nation’s adaptation to a number of cultural shifts (including some of the first female pilgrim settlers wearing veils), a woman choosing to cover her hair from public view seems strange and, at times, threatening for a good portion of people. Even in a culture where sexual confusion and the successful marketing of a woman’s body in selling products and puritanical values oddly coexist, many Americans still view Muslim women wearing headscarves as “weird.” Some women and men may also feel indirectly judged by the sight of women dressing this way, while others pity them, threaten them, or are left curious, scratching their heads. In Kazakhstan, Uzbekistan, and other neighboring Muslim majority countries, modest female dress has been a custom for over 1500 years. St. Petersburg-based researcher R.R. Rakhimov sees the “phenomenon of women seclusion in Central Asia” as an “integration of pre-Islamic ideas into the system of Muslim values.” Rakhimov says that the practice of body covering as a religious practice has been common among different communities in Central Asia, regardless of race, religion, or geographic location. It is this last point that may be the most telling. Well before Islam and possibly even before Christianity, women were traditionally seen covering their heads, both in public and in the home. The explanation was usually religious in nature and said to be an act of modesty and respect for God. (Here’s a great visual timeline of the evolution of the female headscarf in various Christian faith traditions.) Along with Jesus and the Virgin Mary, one of the most recognized figures in Christianity is Mary Magdalene, who is often personified wearing a veil covering her hair. Present day Amish women, other Christians, and both Sikh men and women are just a few of the groups that continue to cover their hair in public and private spaces. For those who have little interest in religious reasons for head covering and dressing modestly, there are other explanations, some of which overlap with religious rationales. Although there is a spectrum of sexual preference, it’s safe to say that most men are attracted to women, and their primary attraction has been scientifically proven to be visual in nature. Hair is one of many physical features that attracts men to women, and thus the reasoning for women covering up their hair and dressing modestly, to avoid unwanted advances. There are a variety of other reasons why each cultural context has placed so much attention on this topic, but it seems to me that the headscarf and women’s dress in general is both a symbolic and literal representation of society’s values around family, sexuality, and social behavior. Since women are the carriers of future children and often the most active in family life, their well-being represents society’s functioning as a whole. For a sizable portion of people from many faith traditions, the perception seems to be that covering a woman’s head and body is a preventative, cautionary measure taken to more easily assure a stronger family unit. Regardless of the motivations for covering women’s hair and the fascinations that often accompany such practices, one thing is clear: women dressing modestly (or conservatively, depending upon your perspective) has a long history, and is likely to continue. The forms may be different, and the cultural framing may shift, but the focus will remain on women. Will “mainstream” American culture eventually become less interested in the topic of Muslim women wearing headscarves and overall attire? If so, what are the important things that need to happen for it to be perceived as normal, or viewed in the same non-normative way as sunglasses or earrings? This entry was posted in Gender and tagged #abaya, #al-amira, #Battle For God, #chador, #I Speak for Myself: American Women on Being Muslim, #Karen Armstrong, #khimar, #Rakhimov, #shayla, #SSRCWCG, #Tuareg, Burqa, hijab, Niqab by Colin. Bookmark the permalink. Interesting article about hijab. Please keep updating the useful information. I agree, and thanks for posting a wonderful article about hijab. Unfortunately, misconceptions about Islam have put Muslims in difficult positions and Muslims need to become better educated so that they can communicate effectively. I’m not 100% sure, but I think one of the reasons it gets talked about so much is because many people assume (often wrongly) that all the women wearing any sort of traditional head covering don’t have a choice in the matter. So people raise the topic as an equalty issue – but in most cases the people talking about it from an equality standpoint have never actually talked to a woman who wears the tradional gear and asked her why she wears it. Western societies should try to understand other cultures and religions more. While Muslims all over the country feel strange when they meet westerners wearing tanktops or bikinis in their town, westerners undoubtedly feel anxiety as well when they meet Muslims wearing the veil or headscarf. But, no one has the right to judge other cultures, so respect others and they will respect you.